vzaar Reveals Why Online Businesses Prefer Professional Video Hosting Instead of YouTube. He is appalled by how many businesses are destroying their reputation by publishing video of poor quality on their websites: the loop often stutters or stops, the image is embedded with garish logos from the hosting site, surrounded by advertising (often from competitors! ), and the video is often confined to a limited file size, player dimensions and duration. James Orr, vice president of an Internet video channel for high-end cigars and wines (www.jamessuckling.com), is one of the converts who opted for the vzaar platform after initially considering using YouTube. “Our business has a specific audience, starved for exclusive content. We decided to build and launch a video-based subscription media site aimed at that demographic. YouTube does not offer that capability,” says Mr. Orr. vzaar was his platform of choice because it “offers more flexibility and control over our content, and is of consistent high quality, with highly responsive tech support”. Another vzaar client, Bryan Pate – co-president of ElliptiGO, also rejected YouTube. “We started with YouTube but quickly learned that the only way to get the slick, cool look and feel that we needed to promote our brand was to use a professional hosting platform,” says Mr. Pate, who is now the happy owner of a customized vzaar video player. Businesses not subscribing to a video platform like vzaar are giving away exclusive rights to their content, exposing themselves to abuse of their material as well as missing out on a professional looking, high quality video player for their website. vzaar is an online video hosting service for businesses with video content they need published online. Unlike other free services, this premium service offers its customers complete control and ownership of their content. The company has positioned itself as a professional video hosting service providing a low cost service with an easy to use interface and serves about over 1,500 companies worldwide. https://vzaar.com/wp-content/uploads/2019/03/vzdc-logo-1500x630.png 0 0 press https://vzaar.com/wp-content/uploads/2019/03/vzdc-logo-1500x630.png press2011-03-14 10:44:062011-03-14 10:44:06vzaar Reveals Why Online Businesses Prefer Professional Video Hosting Instead of YouTube. When I’m not wearing my [vzaar](https://vzaar.com) hat, it’s photography, where I concentrate my enthusiasm and attention. So how come I’m writing about video then? Photography had undergone a huge shift in the last 6-8 years: the emergence of digital technology transformed photography from an expensive and elitist craft to the toy of the masses. Taking pictures became suddenly much easier and cheaper which soon resulted in an abundance of photos – just take a look at [Flickr](http://www.flickr.com/search/?s=int&w=all&q=vzaar&m=text), where millions of photos are uploaded every day. The new paradigm changed the face of the business and the emergence of new platforms, like the internet, created new opportunities, though many photographers weren’t delighted by the new horizons digital opened up. Last August, almost simultaneously, Canon and Nikon introduced two new DSLR cameras that were capable of recording HD video. To showcase the capabilities of the camera bodies, both companies hired a renowned photographer, Vincent Laforet and Chase Jarvis, respectively, and they created amazing videos with the new technology. You could ask, why DSLRs with HD are such an enticing things for photographers. The reason is that it allows you to use your existing lenses and thus create effects, find angles, use techniques, that would normally require a professional video camera. The effects of this shift is still unclear and there are implications on many levels that we even might not be aware of at the moment. For example, as Vincent Laforet pointed out in a blogpost, what happens at a major sports event, if a photographer records and broadcasts HD video, even though he doesn’t own the TV rights. Beforehand, this wasn’t an issue, as the two fields were separated technologically. Right now, photographers can still ignore video and stick to still pictures only – like analogue remained dominant for a long time when digital came into existence. But it is here and it’s getting more and more important and we all need to figure out how it will the current paradigm. In the meantime, I started to think about selling one my Canon bodies to buy a video-capable one and start to experiment with it. Because this new world will be here sooner than we would think. https://vzaar.com/wp-content/uploads/2019/03/vzdc-logo-1500x630.png 0 0 balint https://vzaar.com/wp-content/uploads/2019/03/vzdc-logo-1500x630.png balint2009-11-12 12:36:392009-11-12 12:36:39Video Killed The Photography Star? Some interesting findings from [a report commissioned by TurnHere](http://www2.marketwire.com/mw/mmframe?prid=550308&attachid=1095022) * came to our attention this week. All in all it serves to reinforce that online video is going to be the number one marketing tactic in 2010 for businesses and agencies looking to expand the success of their online activities. The results really point to a number of things that many of us in the industry have been working on for some time. First things first, it is clear that the cost of video production and video streaming needs to come down to make it initially attractive and then secondly implementable for businesses. 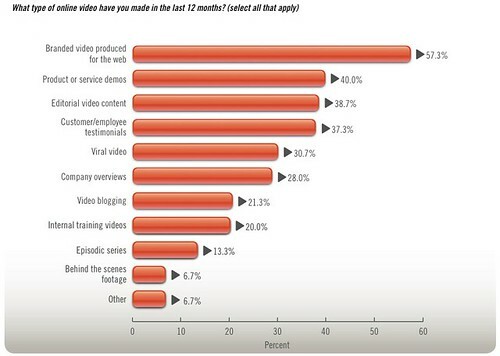 Continued development in analytics and the measurement of video needs to be made available to businesses although I think employers of video need to take some personal responsibility here given the number of tools (think [Google Analytics](http://www.google.com/analytics/)) that already reside online. Finally it is not just product related videos that are the content of choice. With so many online sites selling services or simply access to information this really is the time of the talking head. At [vzaar](https://vzaar.com) we’ve witnessed that first hand with a sharp rise in businesses, parties, organisations and groups using video to disseminate messages, coaching and online tutorials. The sheer range of video types will only continue to expand. Although there has been much hype published on the internet on the merits of online video for commerce, there is little actual data to back it up. It’s a difficult task to report actual conversions rates using video versus not using video, as larger companies guard this type of data and are not willing to share. It is often the case in challenging economic conditions, such as these, the small business that usually falls. Not so for these four companies, who were kind enough to share with me some data and experiences, which provide some insight into how their businesses are responding to the addition of online video to their web stores. [**Equip2clean**](http://equip2clean.co.uk), one of these companies, who started using video after being urged by eBay and Google keynote speeches at various trade shows, reported its best month of trading in February 2009, and attributes its success to the product videos they create. Jonathan Paxton, the owner of this commercial cleaning equipment company comments. 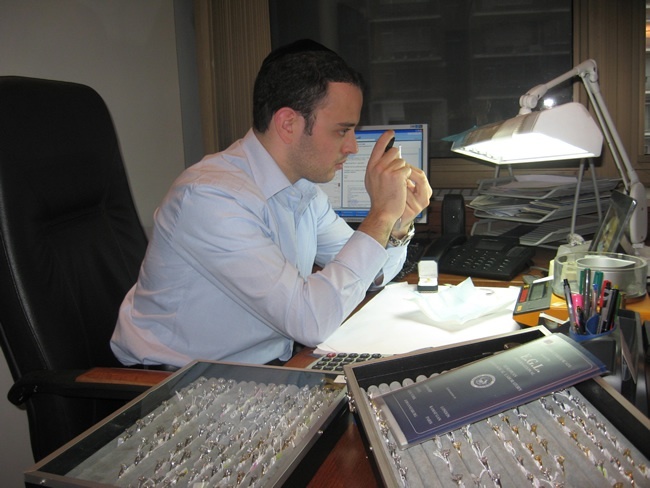 Another company in the study, [**Diamond Jewellery United**](http://diamondjewelryunited.com) based in Antwerp Belgium, saw their sales increase by 65% four months after implementing product videos. “*Nearly all major websites only place a picture of a model, therefore leaving the buyer not sure what they are getting until they actually receive the diamond, and therefore resulting in a average of 30% returns amongst online jewellers. We have found that our videos give the customers a good idea of what they will be getting and thus our return rates are about 12%*.” says Stephen Grunhut, the companies managing director. Two other business in the study, [**Industry Recycles**](http://industryrecycles.com) who sell second-hand equipment, saw an increase in sales over 12 months by over 307%, and [**Yesil**,](http://yesil.co.uk) an online furniture website, saw a 50% increase in web traffic transferring to a rise of 30% in sales over the same period. If you have any results you would like to share please do. We would like to hear them. We are also keen to hear of any challenges you faced with video production and what you did to overcome them as Stephen Grunhut has done in the report. Thanks again to [Equip2clean](http://equip2clean.co.uk) (UK), [Diamond Jewellery United ](http://diamondjewelryunited.com)(Belgium), [Industry Recycles ](http://industryrecycles.com)(USA) & [Yesil ](http://yesil.co.uk)(UK) for your time and data. A new feature for us at vzaar, our Featured Business post allows us to share with you the success enjoyed to date by businesses who embrace video as a means to drive online sales. So first up is [Silver level](http://www.vzaar.com/purchase/packages) vzaar seller [Diamond Jewelry United](http://stores.ebay.co.uk/Diamond-Jewelry-United) who sell under the guise of bestprices_ms on eBay. Bestprices, a diamond seller based in Belgium, sell diamond jewellery on eBay using vzaar. The firm has been in the diamond business for forty years and started selling diamond jewellery two years ago. They started selling on eBay in 2007 but only started making serious inroads in January this year when they started listing items daily. Bestprices integrate the videos into their HTML listing templates meaning that the video is prominent and attractively integrated to best effect: Steven claims that each video only take about 5 minutes to create and drop into their individual template. In order to show off the diamond jewellery, Bestprices have also invested in some new video equipment and special lighting, but as their superb videos and increased selling success testifies, it was well worth it.